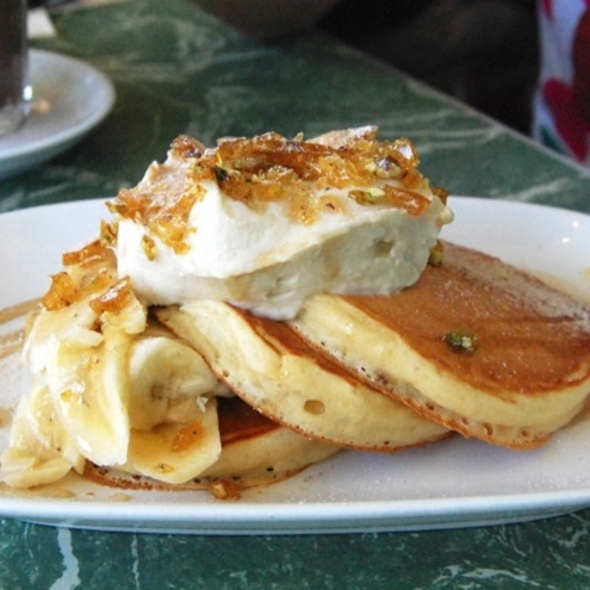 10 Cheap Eats in St Kilda for Under $10! Ohh, St Kilda. The land of saints, kildas, football players at the Barkly on Sunday nights, Dennis selling the Big Issue on Acland Street with unwavering high levels of energy and enthusiasm, the beach, the unsavoury, unsanitary ocean that only tourists are foolish enough to actually swim in, Irish backpackers, Polish cake shops, watering holes, beer gardens, cyclists riding in the middle of Beach Road all the flipping time, The Espy, fish & chips on the grassy knoll next to the Vineyard…what a place! With summer just around the corner* (*hopefully! ), my humble native suburb of St Kilda is gearing up for the annual influx of additional human bodies seeking beachside pastures to enjoy summer's glorious heat, happiness and sunshine. And, whilst you summer-loving souls make a trip to the supermarket an absolute nightmare, constantly blocking the footpath to catch a glimpse of the vast display of cakes and pastries in Monarch's shop-front window, I am putting aside my local irritations to bring to you an insider's guide to the absolute best way to enjoy a local feed with just a single blue note. Positioned up the up-and-coming chic end of Fitzroy Street, The Banff is a firm favourite among locals. Open every day for breakfast, lunch and dinner, a crisp (or crinkled) tenner will leave even the largest of stomachs sated, with a variety of in-house pizzas on offer for a meager $6 all day Monday and Tuesday, and 12:00pm – 5:30pm Wednesday – Friday. With a happy hour every afternoon from 3:00pm – 6:00pm, you can satisfy your eating and drinking needs all with that singular sweet blue note. But fear not if these times are not conducive to your busy-bee schedule; Banff still meets the ten-dollar-challenge with full priced pizzas coming in at between $6 - $8.90, 'paper pastas' (n.b. that's pasta served in paper folks…not pasta made out of paper) for $9.90, and a variety of focaccias and salads all for under $10. 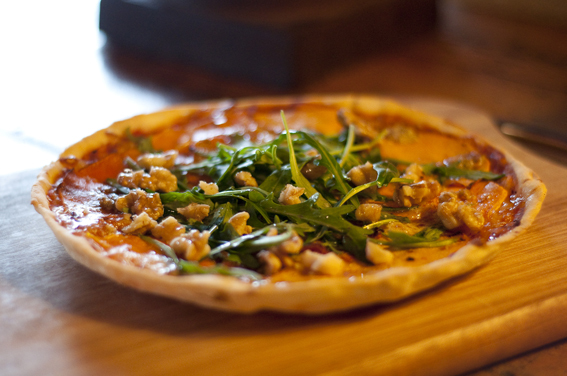 My personal favourite (just in case you were wondering) – the saganaki, rosemary potato and sea salt pizza. Two types of carbs, fried cheese, and salt…Get. Around. It. The wonderful Lentil as Anything is a St Kilda institution, created with an inspiring belief and trust in human generosity and selflessness. Built on a system whereby customers contribute an amount of their choosing, Lentil as Anything is a unique dining experience where your tenner will get you well and truly on your way to satisfaction. Located on leafy Blessington Street, just off the main drag of Acland Street, Lentil as Anything serves up a delectable array of vegetarian and vegan dishes (including one of the meanest Okonomiyaki Japanese pancakes you're likely to taste). I know a lot of people say there have been an endless array of things that have happened and/or been created that have been the best thing since sliced bread…but I truly beg to differ. Being a St Kilda local and a devoted aficionado of all things baked and bready, it has been one of my great joys watching Woodfrog evolve from its humble beginnings as a bakery and bread provider, into one of St Kilda's latest and greatest café destinations. Built on its sourdough-specialist foundations, in return for your tenner Woodfrog bakery can provide you with bagels, olive bread, pumpkin loafs, fruit loafs, soir, spelt, white, rye, ciabatta and multigrain bread, pastries, brownies, cookies, muffins, first-rate coffees, a smorgasbord of fresh sandwiches, salads, burgers, pies, sausage rolls and an impressive all-day breakfast menu with all the traditional trimmings. Woodfrog Bakery also holds a very special place in the hearts of us Urban Listers as the suppliers of 'Fruit Toast Fridays' – a weekly tradition at TUL HQ. 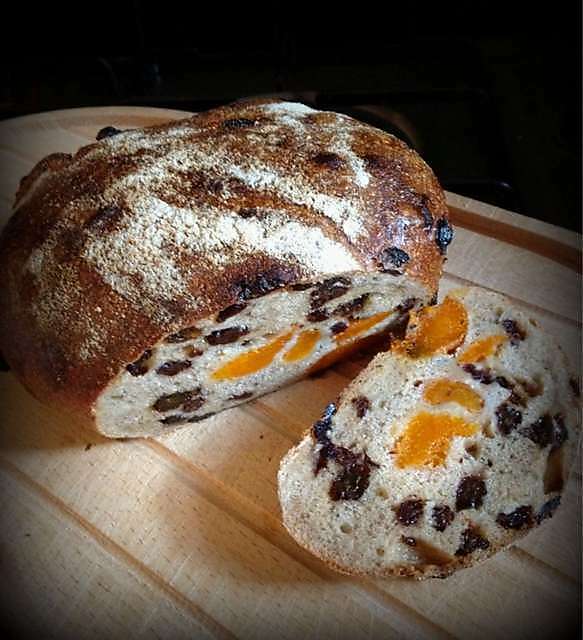 A loaf of the best fruit loaf you're ever likely to taste will set you back a meagre $8.50. Melburnians have been going completely batty for Mexican cuisine for a while now. As a self-professed sheep I am MORE than happy to follow suit and be a sucker for anything involving nachos, tacos, enchiladas, burritos, margaritas, and oversized hats. So I was overjoyed with the opening of one of Melbourne's newest Mexican hotspots on Carlisle Street – Si Senor Art Taqueria. Serving up authentic Mexican deliciousness, your $10 will get you either two of the finest tacos you're likely to taste outside of Mexico City itself, freshly made guac, two sticks of deep fried potato (yes please), or two mean cobs of grilled corn with cheese, lime and chili. With carnivorous, piscivorian, vegetarian and gluten-free options available, there is a taco to meet every need. Catering to Melbourne's latest obsession with all things froyo, Yo-Chi is potentially the perfect place to take your crisp tenner as the summer months approach. 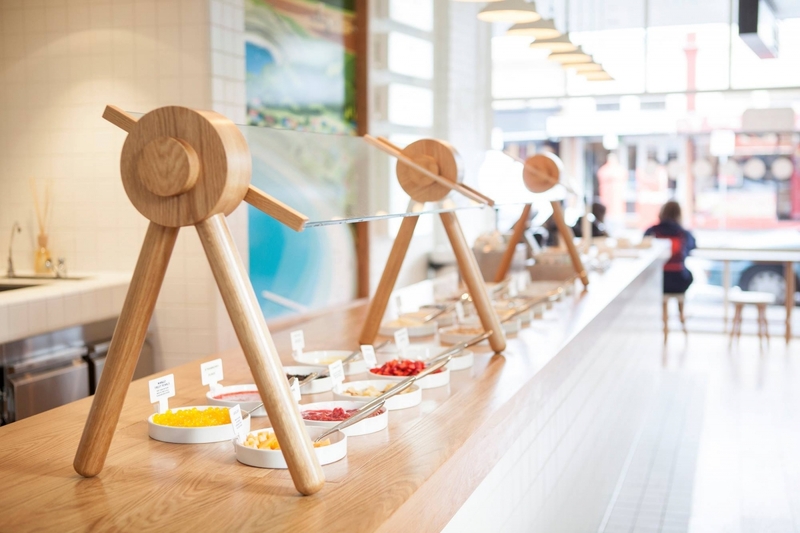 Positioned on Carlisle Street, Yo-Chi has taken the concept of create-your-own frozen yoghurt to a whole new level. Frozen yoghurt flavours include apple pie, mango, peanut butter, chai, hazelnut, salted butterscotch, coconut…the list goes on! The self-serve toppings station will make your eyes boggle with fresh and dried fruits, nuts, biscuits, sweet treats, chocolates etc! Do yourself a favour and enhance the quality of your life substantially by smothering your yoghurt of choice with the cinnamon crumble and hot banana caramel sauce…trust me. It's a well-known fact that everyone loves bagels. That we can agree on. But far more ambiguous is the question – 'where does one find the ultimate bagel?' So we St Kildians can count ourselves lucky that we have one of the best purveyors at our doorsteps. Your $10 will get you, and a few of your mates, some of the best bagels you'll find outside of the world's bagel capital, NYC. Glicks also has your bagels well accompanied with a variety of spreads and toppings (including egg, Mexican, eggplant and tuna dips, tabouli salad, coleslaw and, of course, cream cheese and smoked salmon). No cheap eats round up would be complete without the inclusion of some form of sushi, and Rolls in St Kilda has some of the best going around. All your favourite handroll varieties are there, with salmon, tempura prawn, spicy tuna, teriyaki chicken, vegetarian, tofu etc, but what's more is that $10 will get you almost anything from their menu. Rolls does a mean udon noodle soup, delectable stir fries and curries, and all are served with rice, veg and salad. For under $10 this is easily one of the tastiest and best bang-for-your-buck options in St Kilda. If you have the self-restraint to save room for dessert, be sure to try the Green Tea Ice Cream. With lines down the street on weekends, Galleon Cafe is a must-visit when heading to the fine Port Phillip shores. Despite its overwhelming popularity, Galleon has maintained the same level of quality over its many years of service, and kept its prices remarkably low. Your ten dollars will have you in good stead at Galleon with loads of menu options covered by your one note – pancakes, porridge, muesli, a BLAT, egg and bacon sandwich, homemade spanakopita, and a range of fresh or toasted sandwiches (rare roast beef with rocket, cream cheese, tomato, onion and chutney…yeeeha). New kid on the block, Uncle, has hit the ground running in St Kilda and met the much-needed demand for Vietnamese cuisine on the south side. Previously starved of decent pho, St Kildians have been joyously celebrating since Uncle opened on Carlisle Street, providing authentic and delicious pho. Mini bowls are available for only $6 bucks, and whilst the large serve comes in just over at $11, you'd spend more on petrol venturing to Victoria Street, so technically you're still being thrifty! 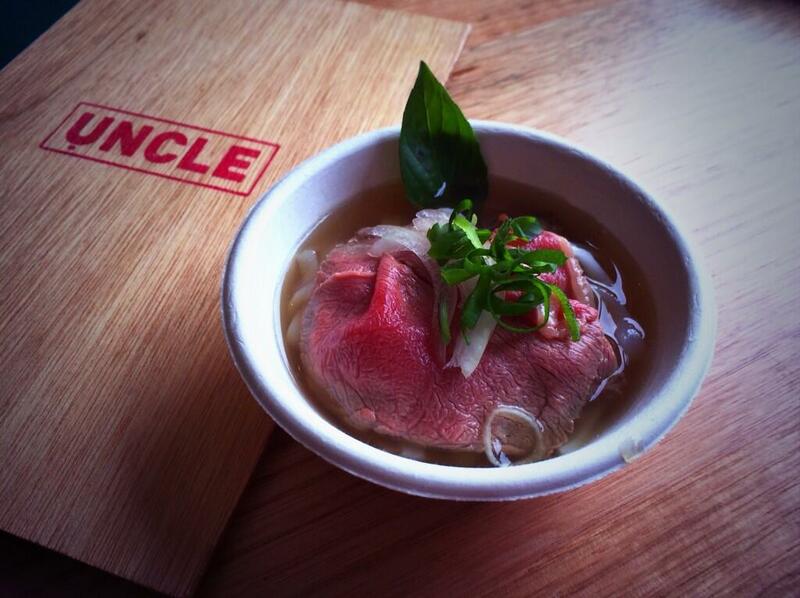 With a fabulous décor and a rooftop dining area, Uncle is going to be a winner this summer in St Kilda. Is there anything better on this earth than dip? As the answer is obviously no, my pick for Melbourne's next craze is Middle Eastern style food. If you're in agreeance with this irrefutable statement, then take my advice and head to La Café on Nelson to try the best hummus you will ever taste. 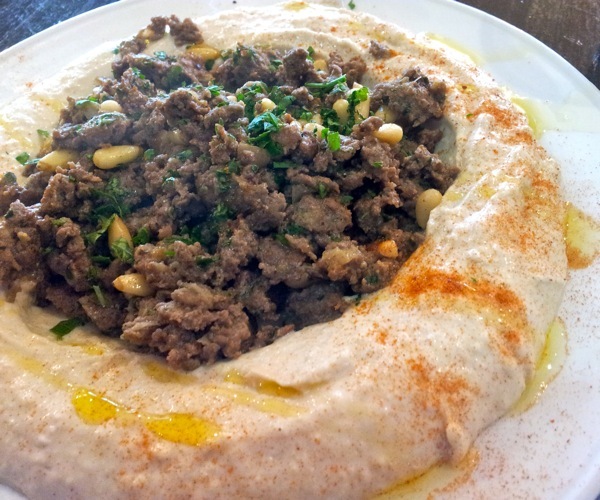 Tucked just away from the main drag of Carlisle Street, La Café on Nelson is a warm and friendly Israeli-run café where your $10 will yield you with said world's best hummus, served with homemade warm fluffy pita bread. You can also enjoy a range of falafels, pita pockets and wraps. Love cheap eats in Melbourne? 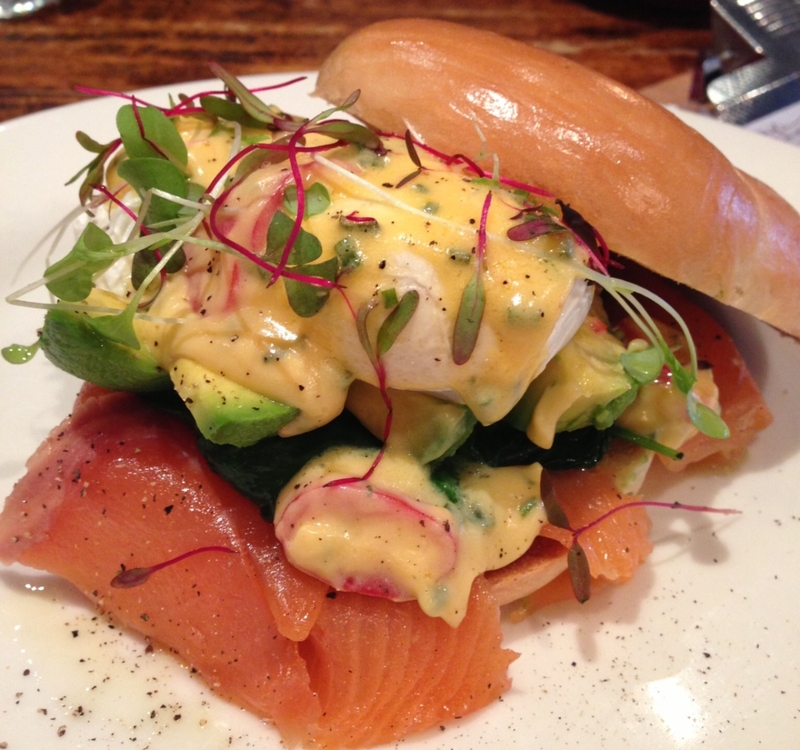 Check out Melbourne's 25 Top Breakfast Cheap Eats and our 11 Best Healthy Lunch Cheap Eats.